Finally with a weekend to do some modeling I also started assembling the AMT A-20C. Not quite the shake and bake of the 1/48 Hasegawa in the previous post. This one will need more gaps filled but overall the fuselage assembly didn’t cause me a lot of concern. The biggest issue I need to hurdle is where the front end meets the bombardier’s glass. As you can see from the photos I have a gap to fill on top and there will be some sanding/filling required for the side joints. You can see that the glass has less width than the fuselage it will join and I will need to work out thinning the side to get it closer to the glass. In this build, the strategy was to add the nose sections to their respective sides and then glue the fuselage together. 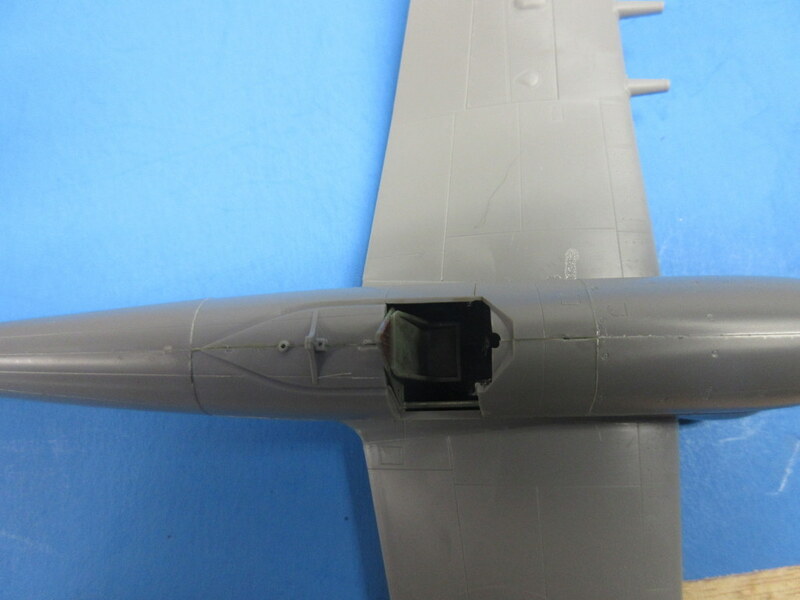 The next time I do this (I still have an A-20J to build) the right way might be to get the glass and side aligned together then put it onto the fuselage. 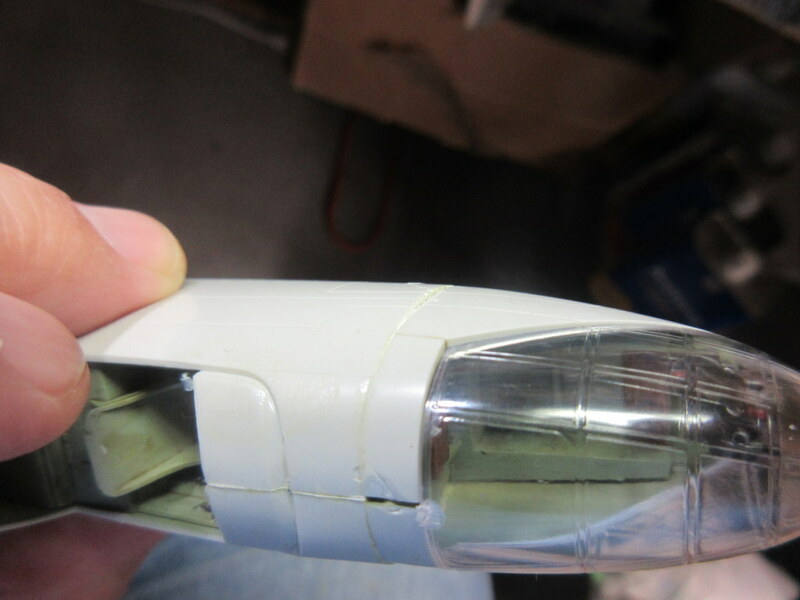 I would think sanding and filling the nose to fuselage joint would be easier than the glass joint. 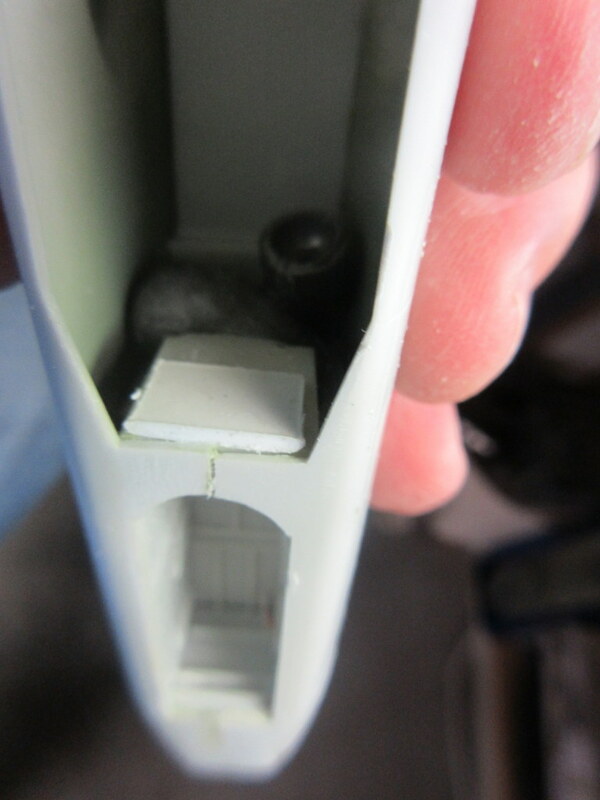 On the bottom, the bomb-bay doors are molded as closed. You have to cut them open to display the bomb-bay door open. There is a faux bomb-bay with partial bombs I could have used but I just want to close her up. The fit of the bomb bay doors into the fuselage required I glue a small piece of plastic onto the front of the bomb bay to hold the front of the doors, lest they have a tendency to fall into the bomb bay. I wonder if I didn’t get the nose wheel well far enough back as that may have been how the kit designers expected the front of the door to be supported on. 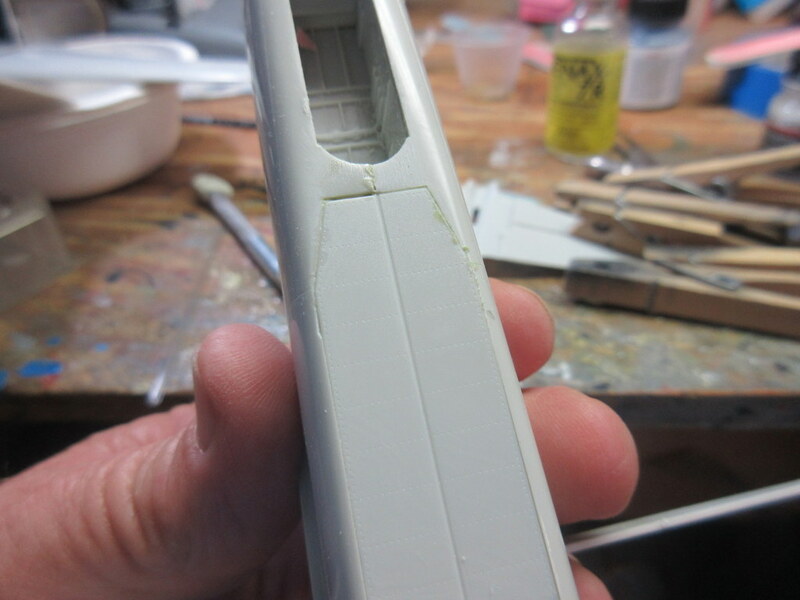 You can see that there will be some filling and sanding that needs to be done in the next steps. Put most of the Hasegawa Typhoon together. 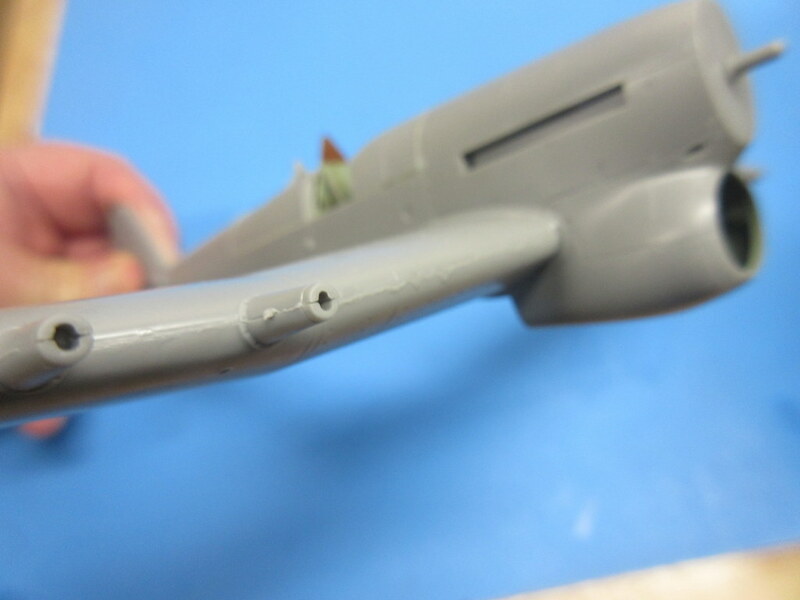 I forgot that when you are building a single-engine 1/48 fighter how fast the main parts come together. 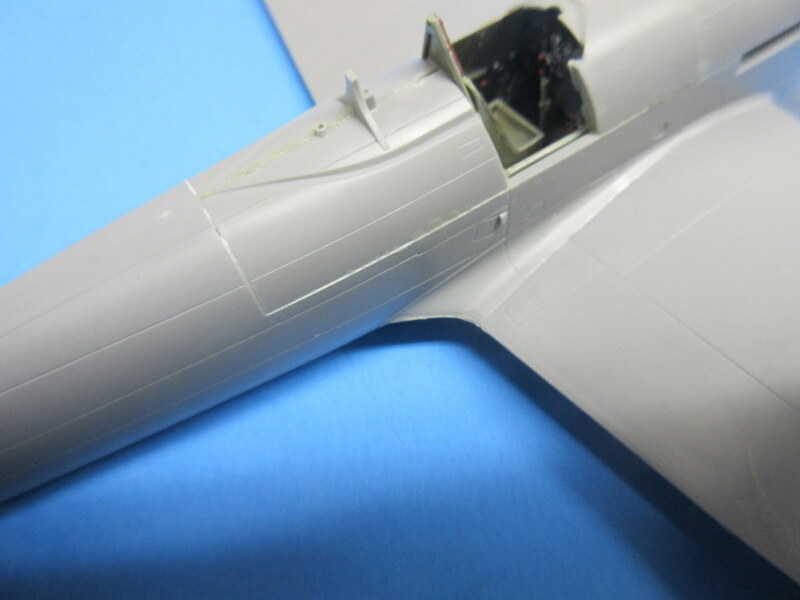 The Typhoon was engineered by Hasegawa to support many different version of the fuselage and as such there are a number of inserts that get added to the completed fuselage so that it can be a car door Typhoon. As well as I tried I will have a small bit of filing to do to smooth these out. You can see by the photos of those areas. 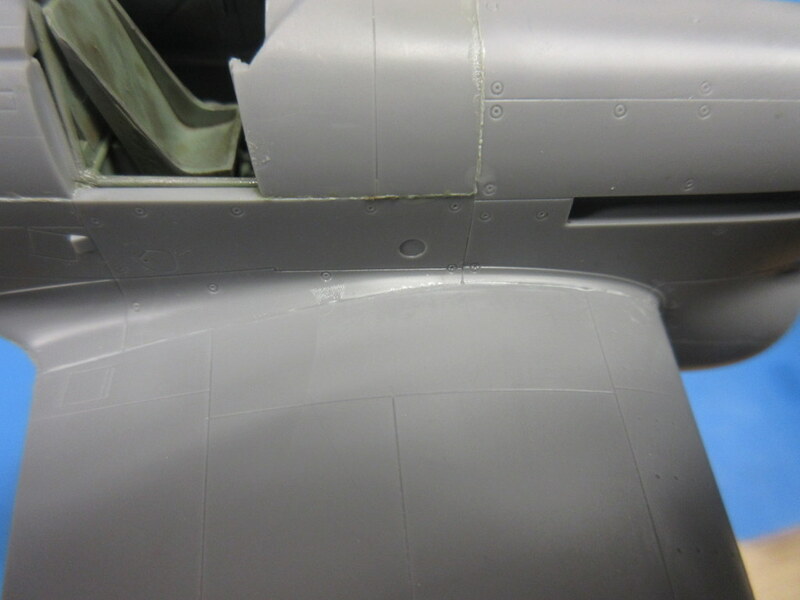 I assembled the wings using an old trick I learned for the DML (Dragon) Fw-190 kits; glue the wing root of the upper wing half to the fuselage and then glue the wings together. If I had done the instruction way, assemble wing then add to fuselage, I would have had a gap at the root. 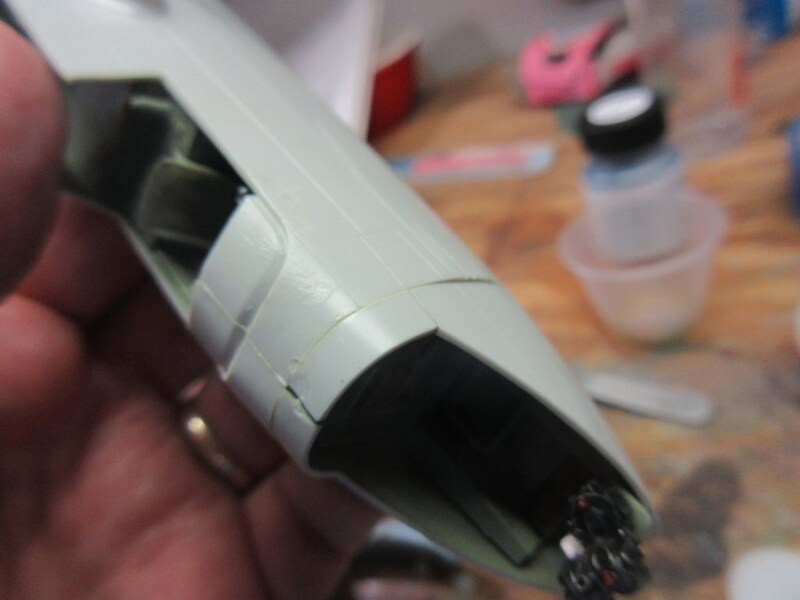 Note that the cannon bases in the wing were also split and will require some cleanup as we move along. Overall doesn’t look like too much work for out of the box. Next post we will go back to the AMT A-20 which is quite another story.